This past weekend, I went to Columbus, Ohio to my brother and sister-in-law’s ten year wedding anniversary celebration and I had so much fun spending time with my family. I flew in on a Saturday afternoon and I flew back on a Sunday. I was supposed to leave early Sunday morning at 8:30, and the plane took off on time but had to turn around and return the airport when there was an “abnormal reading in the cockpit.” I ended up sitting in the airport until around 1:30 pm waiting for them to attempt and fail to fix the plane and then get a new airplane. I thought about the reason I chose to fly in on a Saturday and come back on a Sunday. Part of it was because it was a lot cheaper, but the main reason was because I’m closing out the billable year and I didn’t want to lose a billable day. As I sat and had irrationally dramatic thoughts about what would’ve happened if the plane had dropped out of the sky, I thought about how silly it was that I didn’t just take that Friday off to spend more time with my family. Yes, we have responsibilities at work. We chose this life. 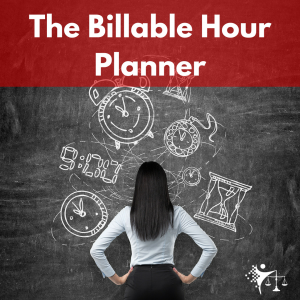 We chose a profession where we have obligations and billable hour requirements. However, let’s not forget that we are human and that the connections we have with others are ultimately more important than hours that we bill. You don’t have to pick one or the other. You can take that day off and make those hours up some other day. So while we recognize the importance of our billing obligations at work, we cannot lose sight of what is ultimately important in our lives: the people we love.